A flat car High lift H0f. Produktart Waggon. Marke Busch. 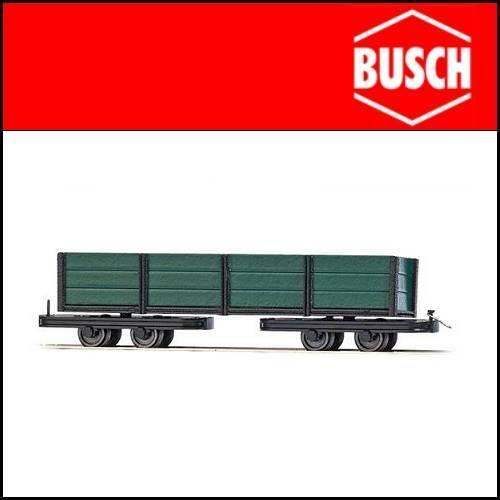 This railway carriage is equipped with scale hook couplings and therefore also compatible with the locomotives and personnel carriers from the Bush tramway line.